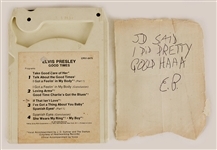 From the Dottie Rambo Elvis Presley Collection, an Elvis Presley handwritten note that his has signed his initials "E.P." 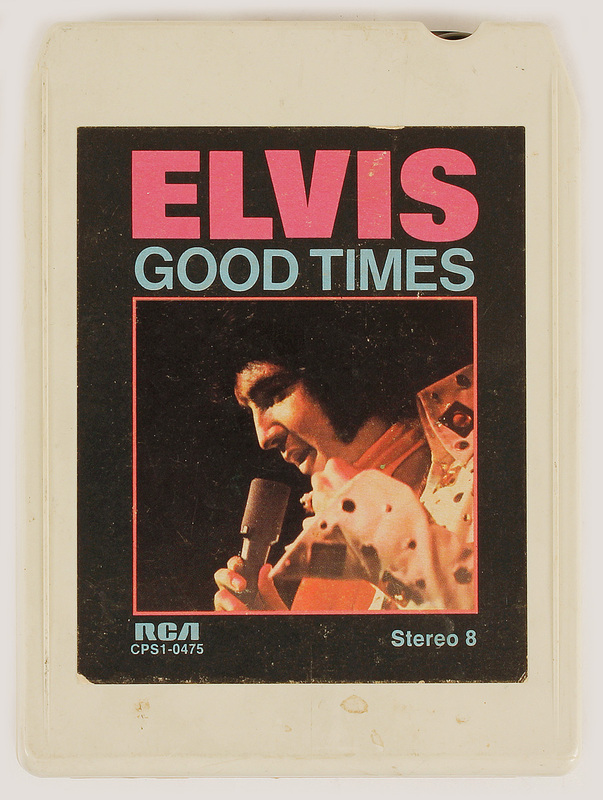 with his personally owned "Good Times" 8 track tape that he gave to his good friend singer-songwriter Dottie Rambo. Dottie had written the song "If That Isn't Love" which was a popular recording by Elvis and appears on the "Good Times" album. One day Elvis quickly wrote this note and taped it onto the 8 track before giving it to Dottie. 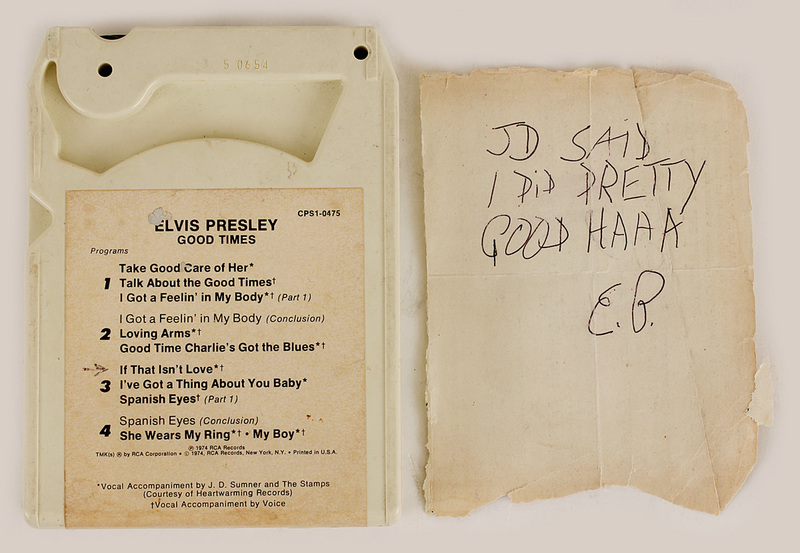 The "JD" in the note refers to JD Summer, their mutual friend, who often performed with Elvis. Comes with a letter of authenticity from Dottie's family and a Gotta Have Rock & Roll™ Certificate of Authenticity.